How Did International Political Economy Become Reductionist? A Historiography of a Subdiscipline. First-wave international political economy (IPE) was preoccupied with the “complex interdependencies” within a world system that (it believed) was rapidly devolving following the 1971 collapse of the Bretton Woods system of fixed exchange rates. The original IPE scholars were more dedicated to theorizing about the emergence and evolution of global systems than any strict methodology. As IPE developed, it began to emphasize the possibility that institutions could promote cooperation in an anarchic environment, so IPE scholarship increasingly studied the conditions under which these institutions might emerge. Winecoff, W. Kindred. 2017. "How Did International Political Economy Become Reductionist? A Historiography of a Subdiscipline". 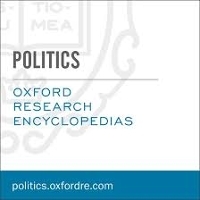 In Oxford Research Encyclopedia of Politics, William R. Thompson (ed. ), Oxford University Press.